Add a piece of Highland history to your collection with our replica Highland Warrior Dagger. Intricately detailed metal work is featured both on the handle and the complementary black sheath. 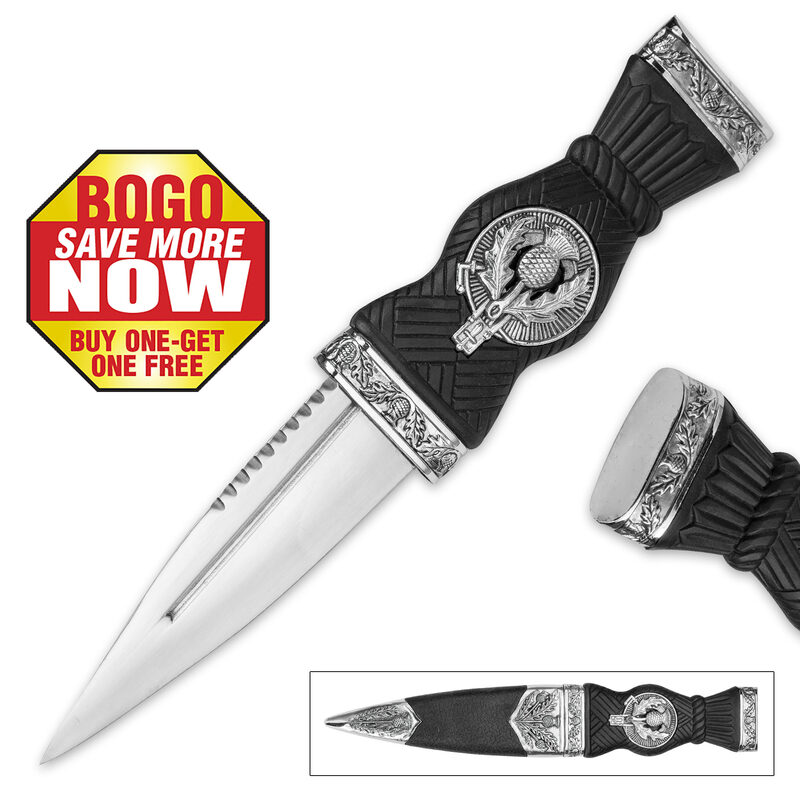 The 4 1/2” stainless steel dagger blade has a high polish finish and both handle and sheath are of sturdy molded TPU. This dagger makes a great display piece for your desk at home or at the office and since you're getting two of them, you can have one in each location! This is a great dagger. The BOGO sweetened the deal, but even having one is a treasure. I got mine to go with my kilt, but it is so well made it is a bit too heavy to tuck in my sock. The thistle is well detailed on both knife and sheath, the sheath is heavy duty, and the blade holds a nice edge. A nice, heavy dagger. Highly recommended.